Reno-based gaming company Eldorado Resorts, Inc. has reached two separate acquisition agreements that amount to an estimated total of $2.2 billion. 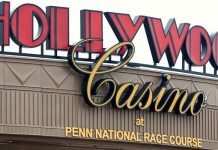 The company already owns twenty establishments across ten different states, including four casinos in Missouri and three in its home state of Nevada – these recent deals will add eight new properties to the Eldorado Empire. MGM Resorts International and its venture partner have agreed to sell the Grand Victoria Casino to Eldorado Resorts in a $327.5 million cash deal. In an even more sizable move, Eldorado has partnered with real-estate investment trust Gaming and Leisure Properties to buy most of Carl Icahn’s Tropicana Entertainment. Valued at $1.85 billion, the arrangement will see Gaming and Leisure Properties taking the helm with a significant share of the payment. Eldorado Resorts will be responsible for the remaining amount, and the two companies will enter into a leasing agreement. Both acquisitions were publicly announced this week and resulted in a record high in Eldorado’s NASDAQ performance – an increase of up to 20.9% in shares. 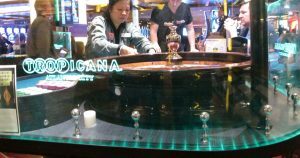 Located in Elgin, Illinois about forty miles west of Chicago, the Grand Victoria Casino first opened in 1994 to a warm reception. The boat would embark on hour-and-a-half long cruises in order to allow guests to gamble until 2000, when dockside gambling was legalized. The casino features 1,088 slot machines, 30 table games, a 12-table poker room, a 1,450-space parking garage, and four dining establishments. For years, the MGM-owned riverboat casino consistently generated more revenue than any other Illinois casino, but due to recent contenders like Rivers Casino in Des Plaines and the rise of video gambling, business at the Grand Victoria has slowed down considerably. Today, the Grand Victoria ranks #8 on TripAdvisor’s top Illinois casinos. The Grand Victoria will be Eldorado’s first Illinois property, and the deal is expected to close in the fourth quarter of 2018. Tropicana Entertainment, Eldorado Resorts, and Gaming and Leisure Properties have all agreed upon a $1.85 billion deal that signs over seven casinos across six states: Tropicana Evansville in Indiana, Belle of Baton Rouge Casino & Hotel in Louisiana, Trop Casino Greenville in Mississippi, Lumière Place in Missouri, Tropicana Casino & Resort in Atlantic City, New Jersey, and Tropicana Laughlin Hotel & Casino and the MontBleu Casino Resort & Spa, both in Nevada. The deal excludes the Aruba property, which Tropicana plans to sell as a condition of the deal closing. Gaming and Leisure will pay $1.21 billion and lease the properties to Eldorado for an initial term of fifteen years for an estimated $110 million a year. Eldorado will be responsible for the remaining $640 million and will have the option of lease renewals of up to 20 years. 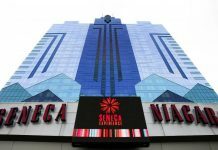 In total, the properties contain an estimated 7,900 slot machines, 265 table games, and 5,400 hotel rooms. Once all conditions have been met, Eldorado’s casinos will feature a total of 26,800 electronic gaming machines, 800 table games, and more than 12,500 hotel rooms. These acquisitions aren’t the first of their kind for Eldorado. 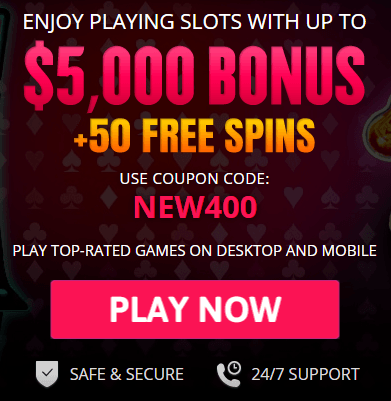 In 2014, Eldorado had sole ownership of only two casinos – in 2016, the casino entertainment company acquired St. Louis-based Isle of Capri Casinos’ 13 gaming properties for $1.7 billion. With the recent additions to its portfolio, Eldorado will be a diverse 28-casino enterprise. On the other hand, Carl Icahn is on his way out of the casino business. 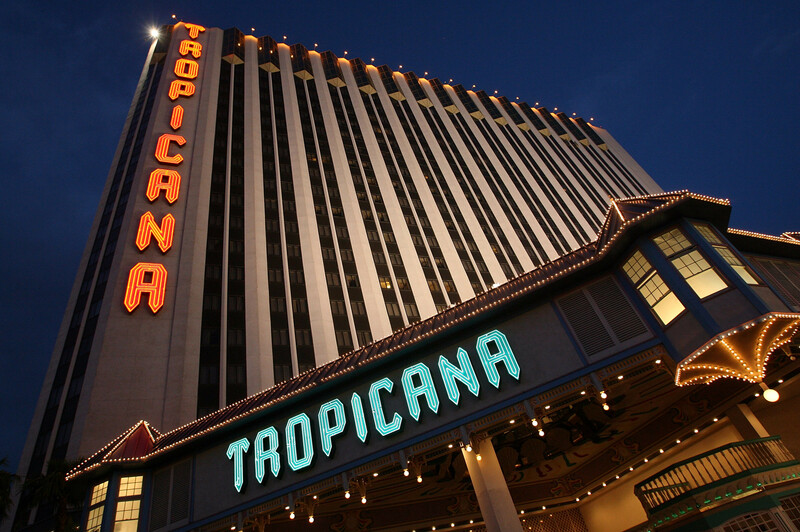 Tropicana Entertainment, which had filed for bankruptcy in 2008, was revived by Icahn in 2010. Since then, the company has made an entire turnaround, though Icahn has been slowly selling off properties – most recently in 2017, when he sold the unfinished Fontainebleau resort project in Vegas for $600 million. These recent shifts reflect a clear trend of consolidation within the U.S. casino market – one that will undoubtedly continue, with Eldorado Resorts maintaining its momentum and forging ahead.